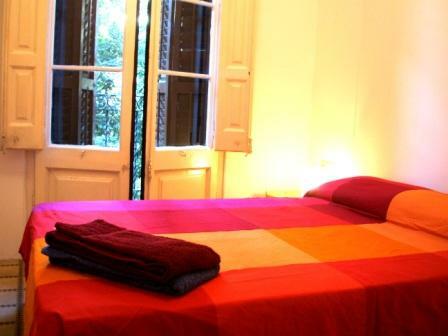 Situated in the heart of Barcelona and located just around the corner from the historic Sant Antoni Market, the Suite Dreams Rooms & Apts are less than 15 mins away from Las Ramblas, the Port, Plaça Catalunya, Plaça Espanya, Fira Barcelona, Universitat, Raval, Gothic Quarter... The area is full of restaraunts, shops and cafes and has a gym opposite. Suite Dreams Rooms : private twin/double/triple/quad rooms for couples, friends and groups of 2, 3 or 4 people with shared bathroom and cooking facilities, enabling guests to meet other travellers, exchange stories and plan nights out together on the town over a nice meal. why sleep in a dorm room when you can have a private Suite Stay Room for the same price? 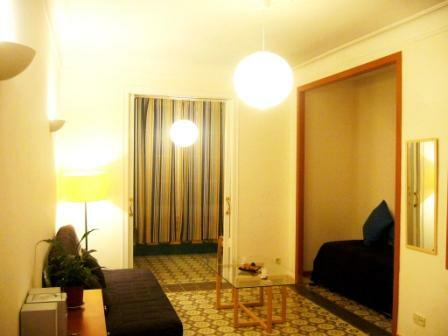 Perfect for groups of friends or families as guests feel they have their own home away from home for their time in Barcelona. You will not be sharing with any other tourists! Suite Dreams Rooms: Private Singles, Doubles, 4-Bed Rooms with shared bathroom, kitchen facilities. 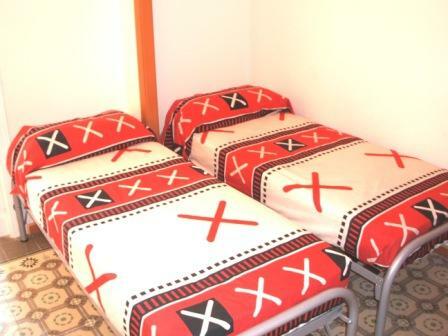 Perfect for couples, students, backpackers. Suite Dreams Apts : Modern stylish and spacious apartments consist of one/two bedroom apartments with double bed, twin single beds and a sofa-bed ( for 2, 3, 4, 5 and 6 people), complete with bathroom, kitchen, dining and living area. At the Suite Dreams Apts, our philosophy is to offer our guests an affordable and quality alternative to the typically over-priced hotels and pensions while at the same time offering the opportunity to meet other travellers and immerse themselves in Barcelona's lifestyle. 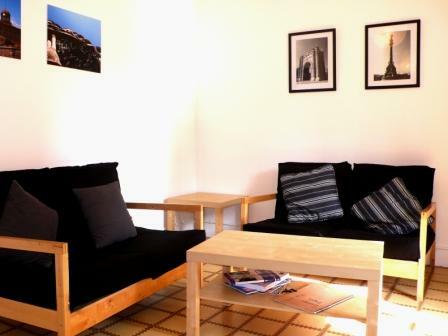 EXTRA GUESTS: Each apartment has a sofa-bed in the livingroom so 2 extra guests can be acommodated. Each additional guest is just 15 extra per night. Maximum 2 extra guests in each apartment. (6 persons Max in the larger apts) When you plan to have extra guests, please send us an email to let us know so we can supply the apartment with extra beds, linen and towels. One of the apartments has a terrace. 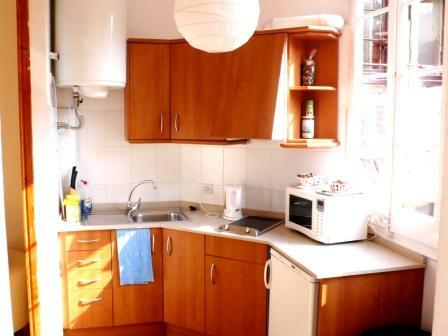 All apts have a full kitchen, double bed, sofa-bed and single beds depending on the size of the apt. Situated in the heart of Barcelona and located just around the corner from the historic Sant Antoni Market, the Suite Dreams Rooms & Apartments is less than 15mins away from Las Ramblas, the Port, Plaça Catalunya, Plaça Espanya, Fira Barcelona, Universitat, Raval, Gothic Quarter... The area is full of restaraunts, shops and cafes and has a gym opposite. 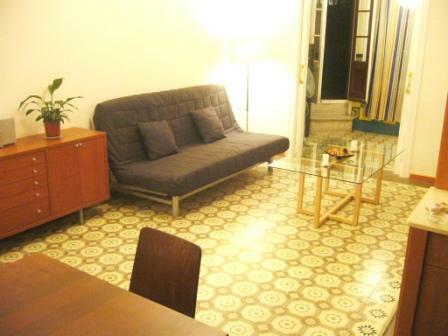 4- Cleaning Fee of 25 Euros per Apartment (only for APTS with private wc). 5- 200 SECURITY DEPOSIT Due on ARRIVAL. It is 100% REFUNDABLE and Returned at CHECK OUT. Please call us when you arrive in Barcelona City Centre to arrange a check-in time and key collection: you will not be able to enter unless you call us as the staff is not always in the building. once you are at the airport and ready to take a taxi, please call us to arrange a check-in time. If you are taking the airport bus into town, then please call once you arrive at the last stop, Placa Catalunya. -Take the Aerobus to Placa Catalunya from there, change onto the green line (L3) and go 4 stops to Poble Sec, follow signs to the Parlament Street Exit. Once on Avenida Parallel, walk along Carrer Parlament on the left hand side until you get to Carrer Comte Borrell. Walk left up Comte Borrell. Number 41 is the second doorway on the left-hand side. -Take the BarcelonaBus to Estacio de Nord. -Take the red metro (L1) from Arc de Triomf 2 stops to Placa Catalunya from there, change onto the green line (L3) and go 4 stops to Poble Sec, follow signs to the Parlament Street Exit. Take the the green line (L3) and get off at Poble Sec, follow signs to the Parlament Street Exit. Please call us when you arrive in Barcelona to arrange a check-in time: you will not be able to enter the Rambla Cat Inn unless you call us as the staff is not always in the building.